When winter blows into Yellowstone, temperatures can plummet to as low as 30 below zero or lower. The frigid conditions leave many of the national park’s denizens with three options for survival. Migrate. Adapt. Or die. Needless to say, multiple species have developed ingenious coping mechanisms to weather the harsh conditions. Fortunately, humans have it easier when it comes to enjoying Yellowstone’s pristine winter landscapes. Heated snowcoaches and the miracle of modern fabrics, like polar fleece and Gore-Tex, render even below-freezing temperatures habitable. And after a day exploring this peaceful wonderland, visitors can cozy up in front of a roaring fire in one of two lodges — Mammoth Hot Springs and Old Faithful Snow Lodge — that remain open throughout most of the winter. But four-legged, winged, and other wild Yellowstone residents don’t have it so cushy. 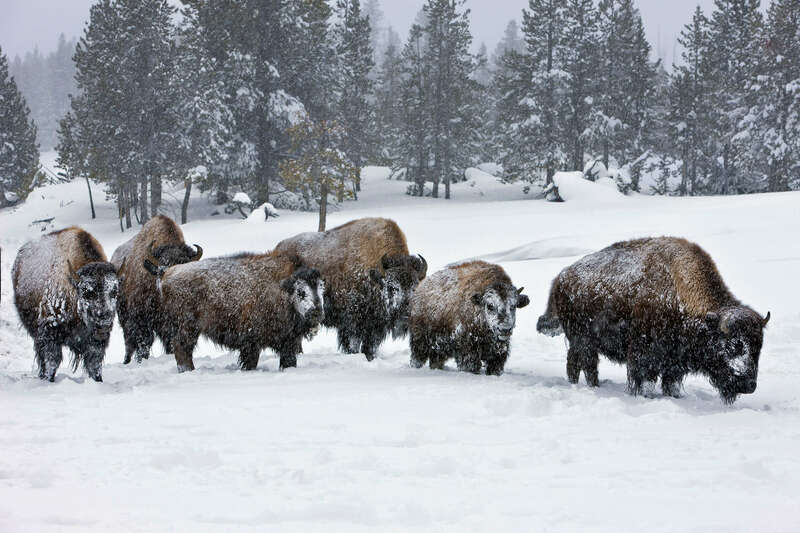 We asked Joshua Theurer, lead instructor with Yellowstone Forever, the park’s nonprofit educational and charitable partner, to tell us about some winter adaptations of the park’s wildlife. 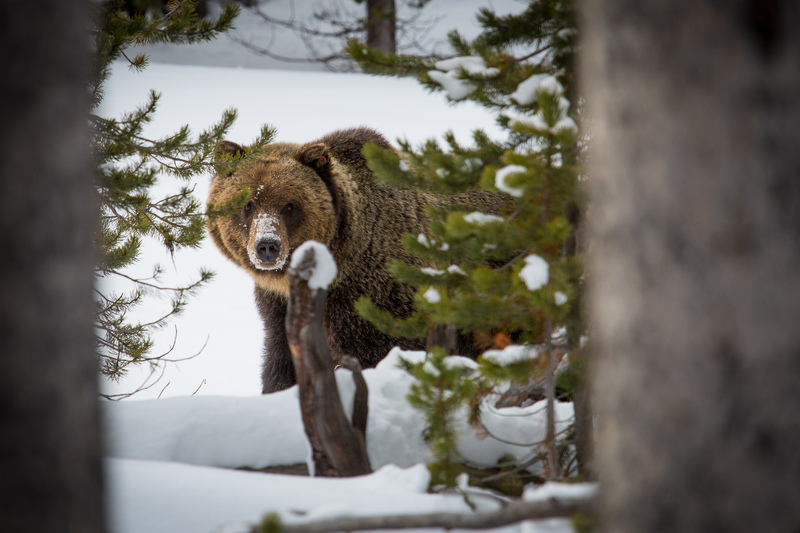 Grizzly and black bears are “super hibernators,” that snooze away much of the winter inside their dens. In preparation for the long hiatus, they eat to excess in the fall, packing on fat that’ll nourish them through the winter. During hibernation, bears don’t eliminate waste, so they don’t have to stir from their slumber. Instead, the urea they produce is recycled into lean protein. By spring, a formerly 600-pound Grizzly might emerge 30 percent lighter, but its musculature is lean and mean. The adaptation may have applications for humans. “Researchers are looking into hibernation and what the consequences are for humans in deep-space travel,” Theurer notes. Elk have counter-current heat exchangers, a unique physiological adaptation that carries warm arterial blood from the body’s core to the superficial vessels in the legs and elsewhere. This adaptation allows the animals to stand in frigid waters for long periods of time, the better to evade predators, such as wolves. Warm arterial blood is shunted to deep vessels in the legs, passing near returning venous blood vessels, thereby exchanging heat to the returning blood. That results in a lower net loss of heat to the core and allows the animal to conserve energy that would be used to re-warm the returning blood if the vessels were superficial and cooling. 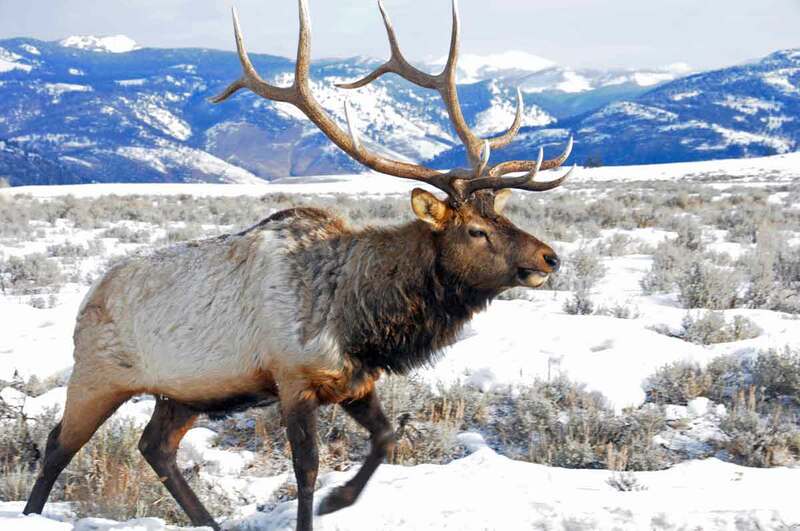 Ungulates also congregate in Yellowstone’s thermal areas in winter. These areas have less snow accumulation, making for more food sources. A bonus: The geyser steam warms the air somewhat. Elk and bison have also been observed eating soil in thermal areas, and might be doing so as a way to get mineral supplements, Theurer says. Plus, their wooly coats are perfectly suited to winter: They provide insulation and their long guard hairs keep moisture out. The gray wolf has large paws with fleshy pads that can spread to provide better support in snow as well as claws for traction. 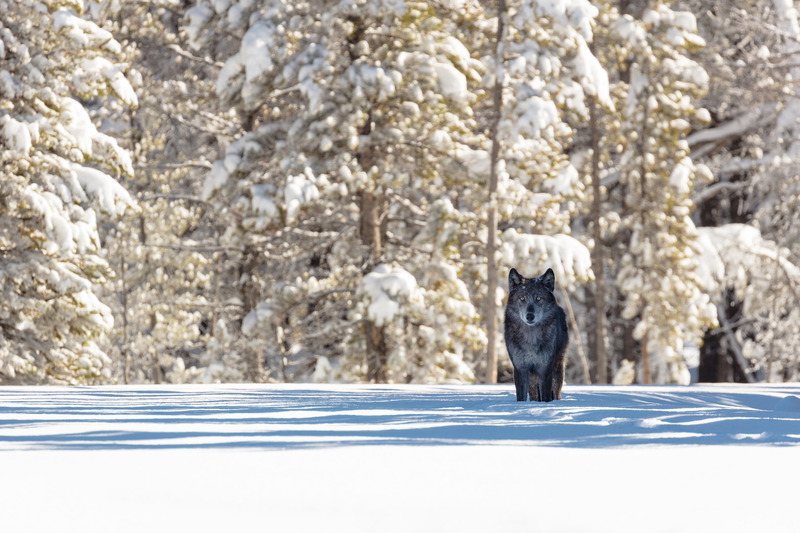 By winter, wolf pups are old enough to join the pack on hunting expeditions, creating greater numbers to drive ungulates and other prey into deep snow. Once they’re exhausted, the wolves go in for the kill. 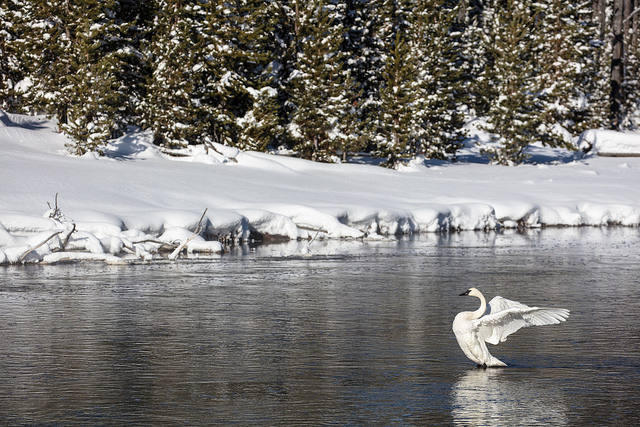 Because of the harsh winter climate, many of Yellowstone’s bird species migrate to warmer climes. But “cold” is a relative term. Creatures from farther north, like the arctic Rough-legged Hawk, find winter weather in the park just fine. Among its adaptations: a small beak and small talons that decrease exposed surface areas and allow the hawk to better retain heat. A large migration of trumpeter swans fly south from their summer nesting haunts in Canada. Thanks to the hydrothermal activity in the park, there’s open-water habitat that can support them. Some year-round Yellowstone residents, such as the brilliant blue Steller’s Jay, Black Rosy-Finch and Pine Grosbeak, simply relocate to lower elevations for the winter.